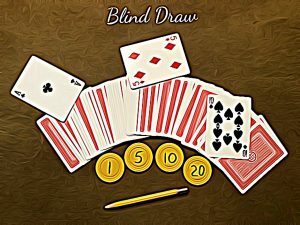 The Diversions Committee presents their first official ‘Blind Draw’ game…a totally random card draw game. It’s an easy game to learn and step by step instructions will be given before you play. Feeling Lucky??? Because luck is all you will need besides a dollar to play. Maybe YOU will be one of the 10 lucky winners. Top Prize is a very nice Wine Country Gift Basket filled with all sorts of goodies, which has been donated by our generous Hometown America Management. Thank You HTA! Other prizes sponsored by the Diversions Committee include scratch tickets, gift cards to Subway, Walmart, Bed Bath and Beyond….AND who doesn’t like to eat?….we have gift cards for Ruby Tuesdays, Olive Garden, The Watering Hole and Codys. Don’t miss out on a fun evening. Note: This is NOT a gambling or poker game.